The Museum of Modern Art (MoMA) has been important in developing and collecting modernist art, and is often identified as one of the largest and most influential museums of modern art in the world. 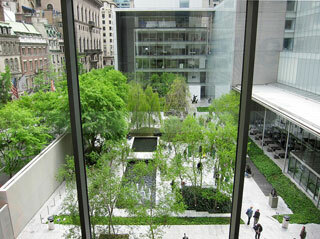 MoMA's collection offers an overview of modern and contemporary art, including works of architecture and design, drawing, painting, sculpture, photography, prints, illustrated books and artist's books, film, and electronic media. This article uses material from the Wikipedia article "Museum of Modern Art", which is released under the Creative Commons Attribution-Share-Alike 3.0 License.